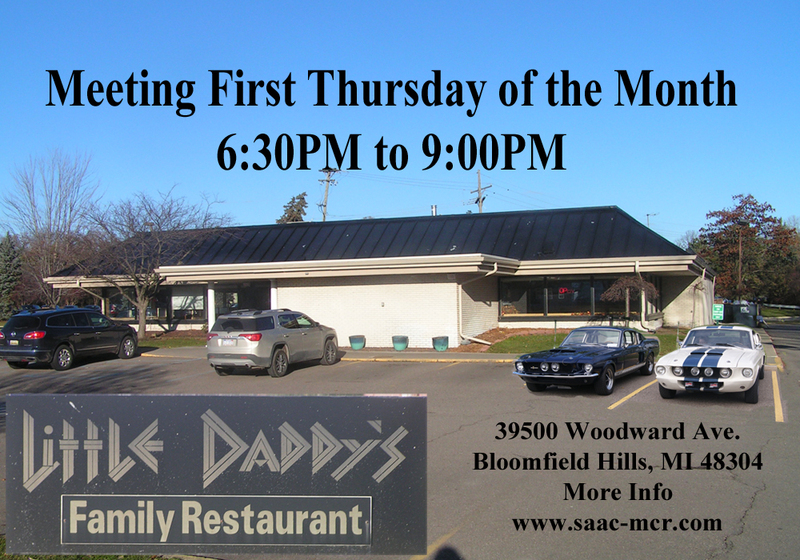 A New Year, A New Location, for Monthly Meetings. After many years at Pasquale’s, we are moving, not far, just up Woodward Avenue to Little Daddy’s Family Restaurant 39500 N. Woodward Ave. Bloomfield Hills, MI. 48304 (248) 647-3400. 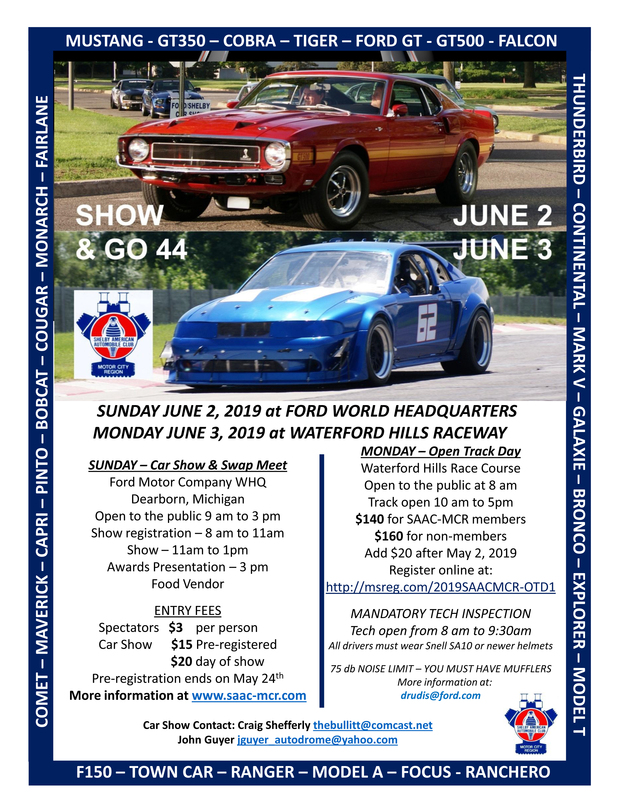 Plan to join us on Thursday, May 2, 2019 at 6:30 PM for a new chapter of the Shelby Club. Change is inevitable, let’s make it a good one! 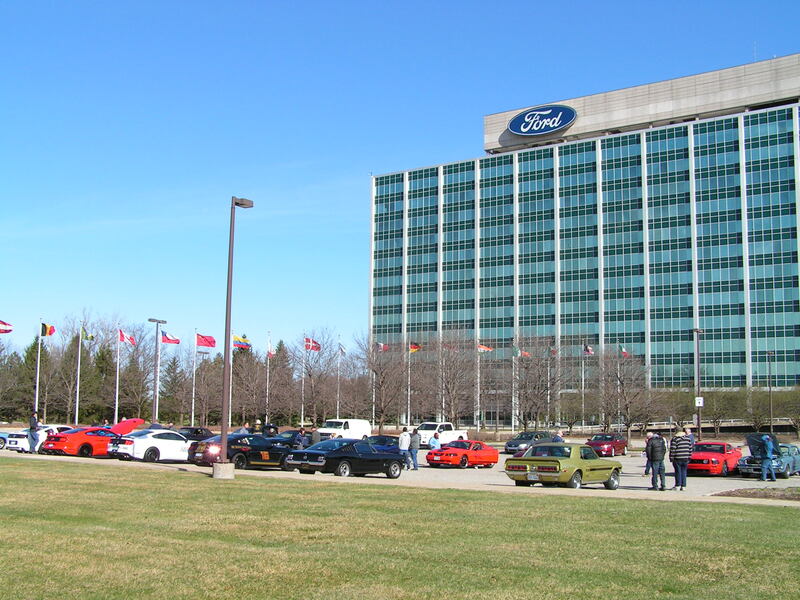 55th anniversary of the first Mustang was observed starting at Ford World Headquarters beginning at 10:00 AM. 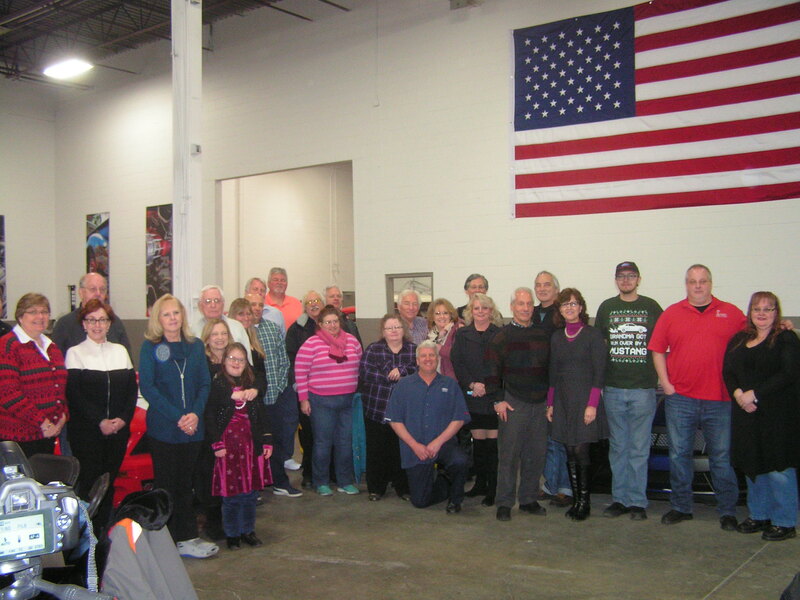 From there we cruised to the Ford Assembly Plant in Flat Rock in honor of today’s Mustang. From there we went to Pete’s Garage for something to eat and a chance to socialize. 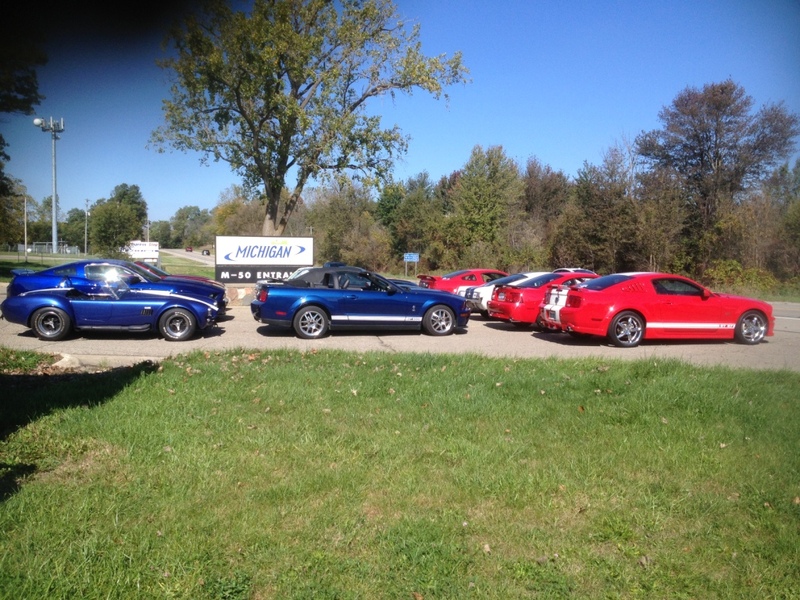 Ran into the Great Lakes Cobra Club having their meeting. See what happened at the 2019 Holiday Party. 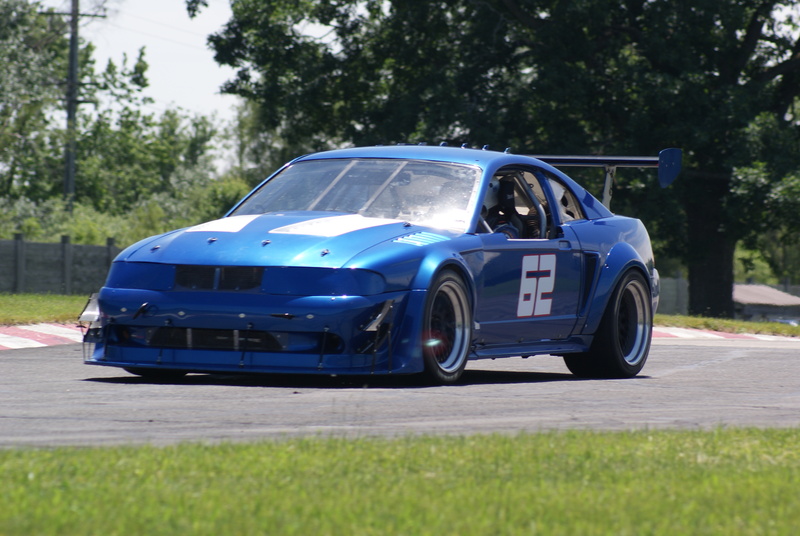 PLAN “B” – FALL CRUISE – ONE EXCELLENT DAY! Lunch at JR’S was Delicious! The Carroll Collection was Fabulous! Event went off without a hitch. Thanks to great planning and execution by Dale Rabe. 10:30 AM Two hour tour of Hidden Lake Gardens. 4:45 PM Left for home, before the streetlights come on.